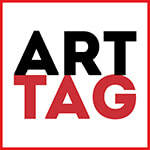 Art Tag is a way to explore new topics, break through artist block, try new ways of art-making, and be inspired by other artists -- all within a selected theme and sharing process. The rules are simple: you must be a current NCWCA member, commit to making three new works of art within the four-month Art Tag cycle, exchange the first two works with your partner, and come to the meeting at the end to discuss your inspiration and creative process. For examples of works created in past Art Tags, click here. Players Michelle Gallagher, Judy Johnson-Williams, Sondra Schwetman, Katrina Slade, Trudi Chamoff Hauptman, Hilla Hueber, Marian Yap. Global Tag players exchange images of works created via Dropbox, can be influenced by any art in Dropbox, and carry on email conversations throughout the cycle. Due Dates First piece Feb 25, second piece Mar 29, third piece & meeting Apr28.